يضمن فندق شقق بست ويسترن ريفر سايد الذي رمم في 2015 لزائريه قضاء وقت ممتع في ملبورن، سواء جاؤوا في رحلة عمل أو سياحة. لا يبعد الفندق كثيراً عن مركز المدينة، فهو يقع على بعد 5.0 km منها. في حين يستغرق الطريق منها إلى المطار حوالي 25 دقيقة. بالنسبة لمن يريد الخروج، هذه بعض المعالم السياحية المتوفرة للزوار Enterprise Park, باتمان, ريالتو تاور. إن الخدمات التي يقدمها شقق بست ويسترن ريفر سايد تضمن للنزلاء إقامة مريحة. يقدم الفندق فرصة للاستمتاع بشريحة واسعة من الخدمات بما فيها: واي فاي مجاني في جميع الغرف, خدمة التنظيف يوميًا, توصيل من البقالية, خدمة غسيل ذاتية, تخزين الأمتعة . في شقق بست ويسترن ريفر سايد غرف نوم يزيد عددها عن 51 صممت بذوق وعناية لتوفر لك كل وسائل الراحة . بعضها يحتوي أضاً على مواد تنظيف, خزنة, شاي مجاني, تلفاز في الحمام, مناشف. كما أن مجموعة الخدمات الواسعة الموجودة في الفندق لضمان راحتك تترك لك الكثير من الخيارات لقضاء وقتك أثناء فترة إقامتك. إن شقق بست ويسترن ريفر سايد هو خيار ذكي بالنسبة للمسافرين إلى ملبورن، بما يوفره من إقامة هادئة ومرحة. يُرجى الانتباه إلى أن جميع الأطفال دون عمر سنتين يتمتعون بالإقامة مجانًا عند استخدام الأسرّة الموجودة في الغرف. يُرجى ملاحظة أن مكتب الاستقبال يقع في هايلاندر لين. يُرجى ملاحظة أنه ينبغي ذكر الأطفال الصغار الذين سيقيمون في وقت الحجز. يُرجى إفادتنا في خانة "التعليقات" أو الاتصال بنا مباشرة نظرًا لاحتواء بعض الشقق على سلالم داخلية غير مناسبة للأطفال الصغار. يمكن للنزلاء طلب جميع الأسرّة المفردة للشقق المكونة من غرفتين و3 غرف مقابل رسم يُدفَع لمرة واحدة بقيمة 20 دولارًا أستراليًا، ويتم دفعه عند تسجيل الوصول. لا يُسمح بالوصول المتأخر بعد الساعة 11:00 مساءً. There is a lot of construction work going on all around the building we stayed in. Understandable that staying in the city can be rather noisy but the construction works were ongoing through the night and on a Wednesday night there was a blaring club until 3am if not later. Very central and easy access though. 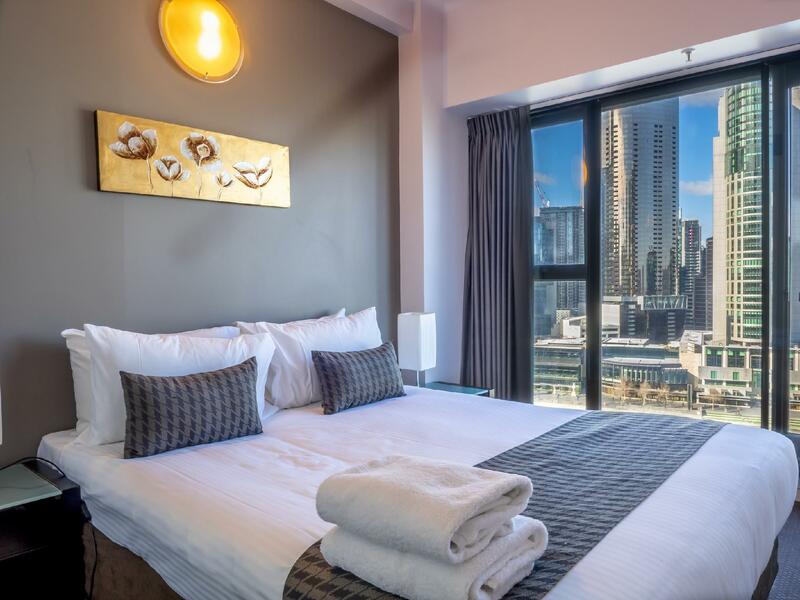 The apartment is centrally located in Melbourne CBD. Sea Life, Crown Casino and Immigration museum is within walking distance. Tram stations nearby. Regarding food, you have restaurants and 7 eleven. If you're craving for Indian food, there are 2 restaurant with easy accessibility. Regarding the property itself, it is clean and quite comfortable. Everything is provided from dishes to pans so you can cook yourself a decent meal on your travel off-days. Location was perfect close to everything,the appartment had everything you needed for a comfortable stay, also very clean and modern, only down fall was it was noisy outside overnight due to party's or maybe a pub. Nice location, nice view, nice apartment, overall was good. Only when check in after 2pm the room was messy, so need to go out around an hour to get the room cleaned up. Recommended place to stay, will stay again in the future. Hope will have better experience in the future. NB: parking fee quite high, other place in the cbd offer cheaper. 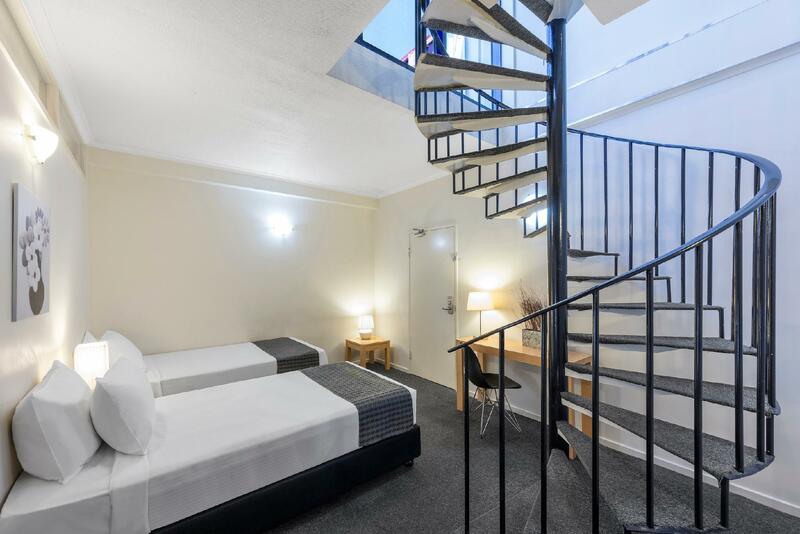 We ended up staying at the annex building on Flinders Lane however this worked to our advantage (it's only 100m from the main building) as the location is quite good. The apartment is showing a little wear and tear however everything worked fine, was spacious and comfortable. There was a build up of mould in the shower that does need attending to however not enough to be a major concern. Would stay again if in Melbourne. Price and location are difficult to beat. This was a lovely hotel to stay at, very clean, great location with everything walking distance and easy to find with undercover parking next door. 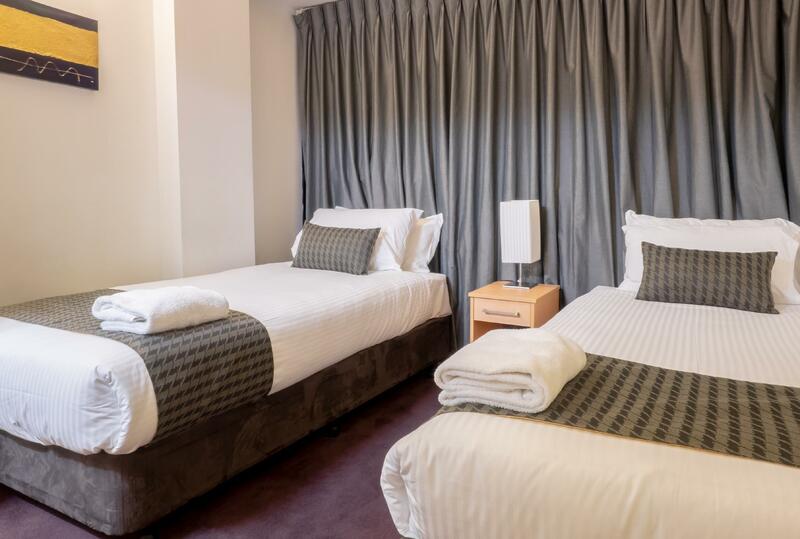 Great staff and spacious rooms. I would definitely stay here again. i stay at best western riverside apartmen for 3 nights on 01 january 2018. we have to check in on highlander ln road then the annex type apartment is located behind the check in desk. the rooms are a bit small, but the living room and kitchen are quite spacious, and the cooking supplies are also quite spacious. but unfortunately the air con just in the living room, so in the summer the bedroom is quite hot. the location is quite far to the road to the city center, but you can use the free tram located in front of the road to get to the city center. I am quite satisfied, and will probably return to stay here next time. 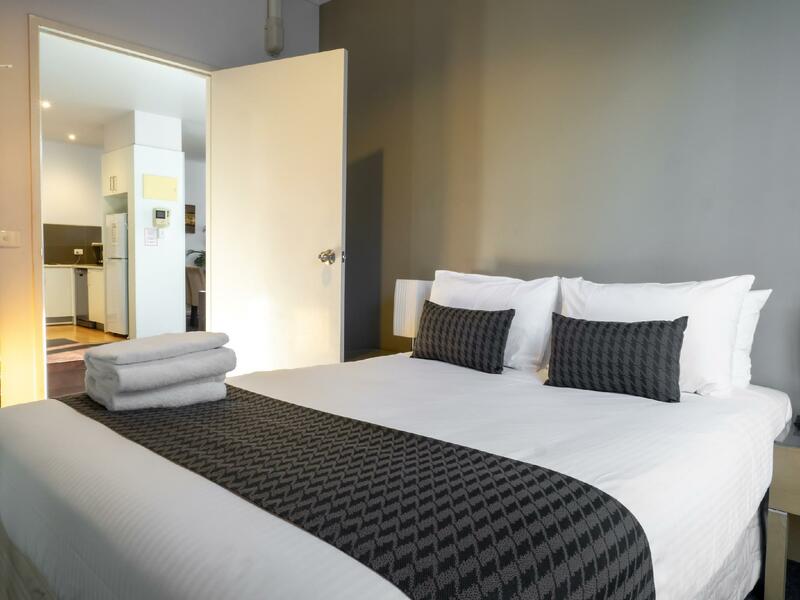 the apartments are reasonably priced with comfortable rooms. Helpful staff, good location and value for money. However, the hot water "disappeared" when I was planning to take a shower, so I had to change the room due to some technical issues and I was in a hurry. The rooms are large and clean, quite old on the other hand. Would be good to have a basic renovation. The main entrance of this apartment is facing a small alley which could be difficult to find. But it is walking distance to Crown Entertainment Center which have plenty choice of food. It is locate within the free tram zone which is very convenient. Room was good. Large and clean. This room does not have in built heater. Requested for portable heater but not available. Not very cold but just in case. Kitchen is very well equipped. Bed was comfortable. Can't complain! Fast check in and the view facing the river is nothing short of spectacular. Right across the river at Crown you would pay 4 times as much for the same view. The room itself is very large, the aircon worked well and it has everything you need (iron, microwave etc..). Exceptional value at around $150 a night. We were going to the casino which was just 5mins walk. Will definitely stay there again. Location was really good- its right across the aquarium and a short walk to casino. Around 15-20min walk to the city centre in memory. Got really nice view from the apartment, you can see the casino fire show from your room! Clean bathroom and kitchen. Stayed in 2 bedroom apartment on 15th floor. Really big and clean. Has a very equipped kitchen with stove, microwave oven and conventional oven. Next to the aquarium and crown casino. Stay was pleasant. Unfortunately I didn't read the instructions before driving there. Spent $16 on 15 min parking at the building. If driving you need to park at Highlander Lane and get the pass from the reception first. I got this apartments due to agoda secret deal so the price is very attractive. 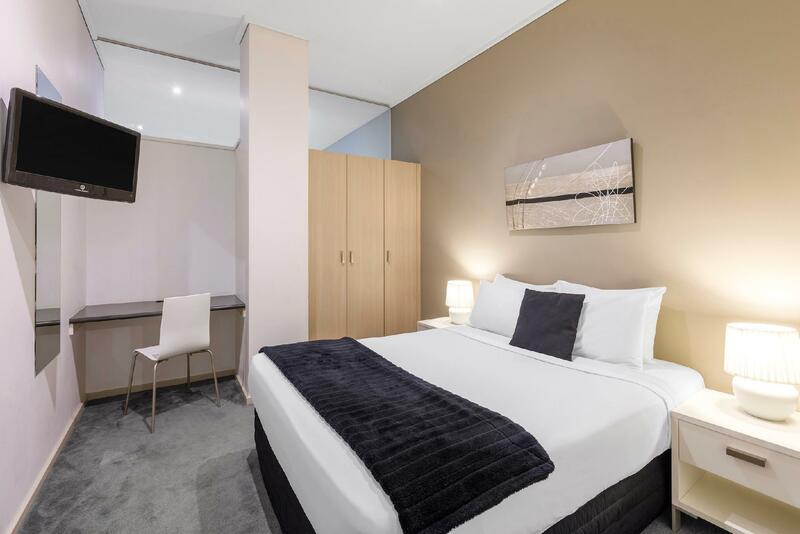 Location is great as it's close to train (Southern Cross/Spencer street station is walking distance, Flinders street station is 2 tram stop away) and tram station. Very close to Melbourne Aquarium. So you can't really complain much about the location. The room is spacious and for sure it can hold one more person. Hotel is nice with a spacious multipurpose hall. Almost every kitchen appliances and utensils are provided. Bathroom is clean, washing machine and dryer provided as well . Good hotel location. Tram station just in front the hotel. We stayed here for 3 nights. Weather changed throughout our stay, so we needed the heating when cold and air conditioning when hot. However the heating/air conditioning system was not working well. We didn't really highlight the issue to the hotel as it happened late at night when we needed it the most. So when weather hot, we just opened the window. When cold, we adjusted the highest temperature. Dryer appliance needed an upgrade. It took 2hours just to dry the clothing. Washer filter wasn't cleaned. Sofa and one of the dining chairs needs replacement, not springy anymore. Overall cleanliness was acceptable. However, it can be improved better. Good things are superb location, just directly opposite sea aquarium and crown and easy access to most places. We were given the highest floor 17th, so we got to enjoy the view. The 1 bedroom unit is very spacious. We hope appliance and furnishing can be replaced as suggested and things will be perfect. 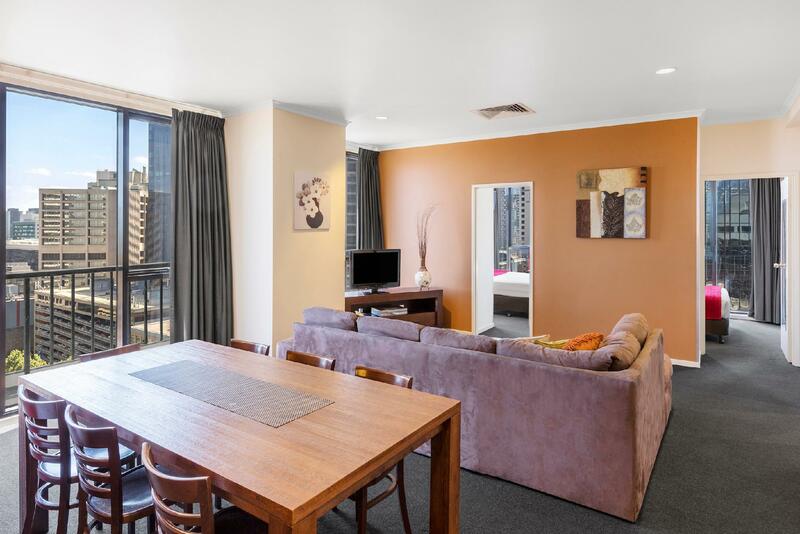 Very roomy apartment located on Flinders Lane with lift entry via a vacant building on the ground floor. This was a bit sketchy coming back to alone at night. Wifi didn't work the entire time. Despite it being a bit noisy in the lounge room, with doors closed, the bedroom was quiet enough to sleep. Everything I needed was there. Couldn't find a remote control for the bedroom TV but couldn't be bothered reporting it to reception as it was too far away. Massive 2 bedroom apartment. 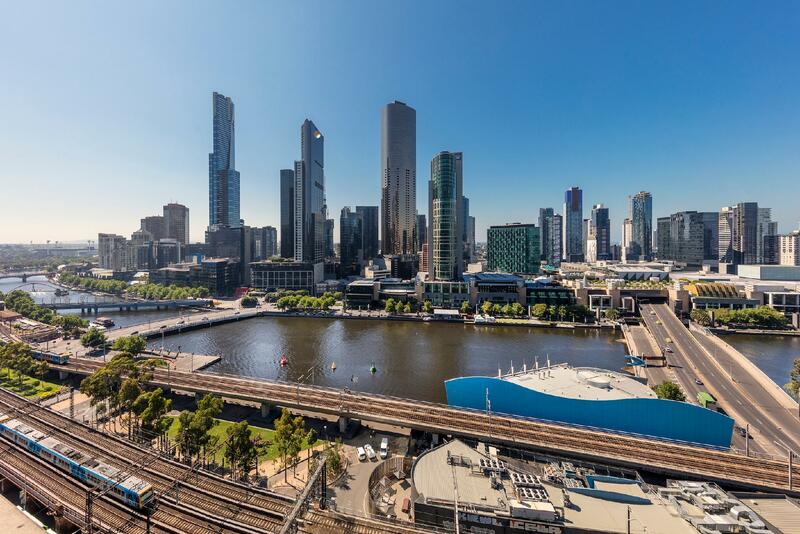 Awesome views overlooking Yarra river and the city. King bed very hard and would of liked bedside tables and a PowerPoint for phones near bed in master bedroom. Apart from that, perfect!